Quilts By Christa: H2H Finished Quilts! 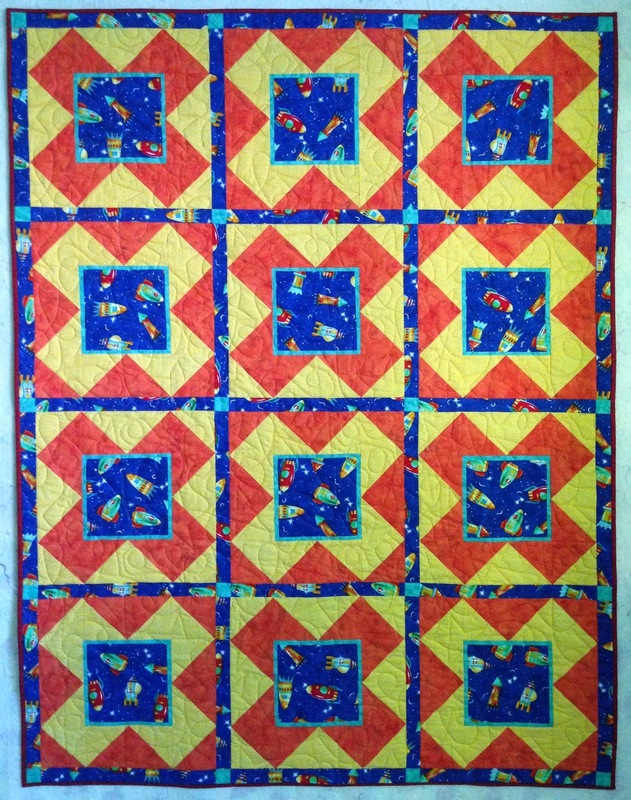 It's time to reveal the finished quilts I'll be donating to the Hands2Help challenge this year. If you are unfamiliar with Hands2Help, please read all about it on Sarah Craig's blog, Confessions of Fabric Addict. 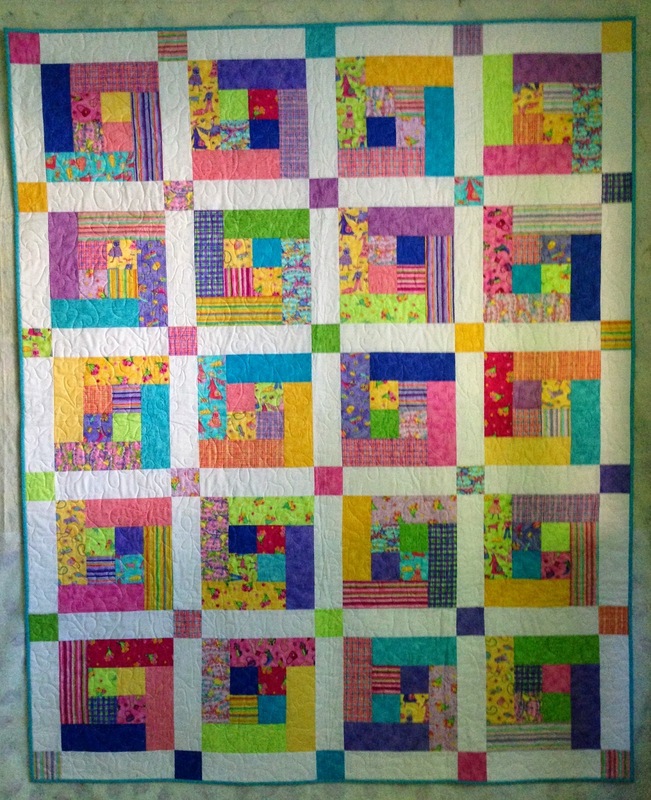 Thanks to Sarah for her efforts in organizing quilters for such worthy causes. with it as well. It's approximately 53" x 65". fabric a bit and came up with my own blocks. 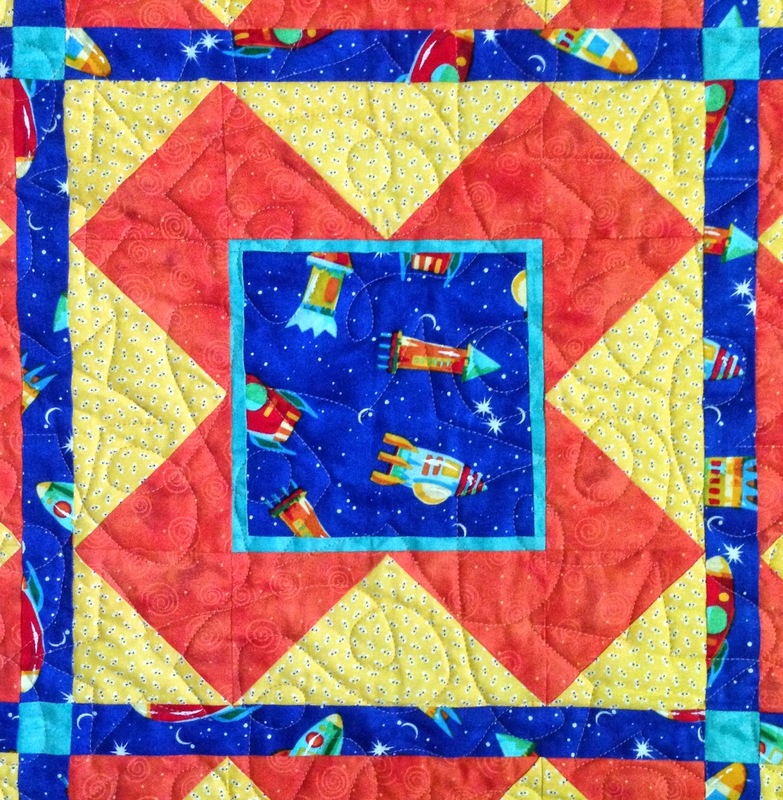 My second quilt is using spaceship fabric from Joann's in bright, primary colors. It measures approximately 40" x 52". perfect block for focus fabric that you want to highlight. and I quilted it with a stars and loops design. are distributed to a wide variety of folks in need. They will be put in the mail next week. 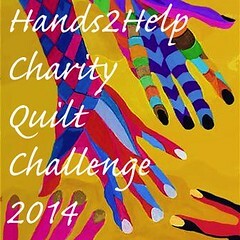 Be sure to check out all the Hands2Help quilts at the linky party. And I think I'll get started on some quilts for next year's effort early! Christa, these are just lovely, and Quilts of Compassion has such a huge need right now - they will definitely be cherished! Thank you so much for participating in the challenge this year, and I hope to see you next year! 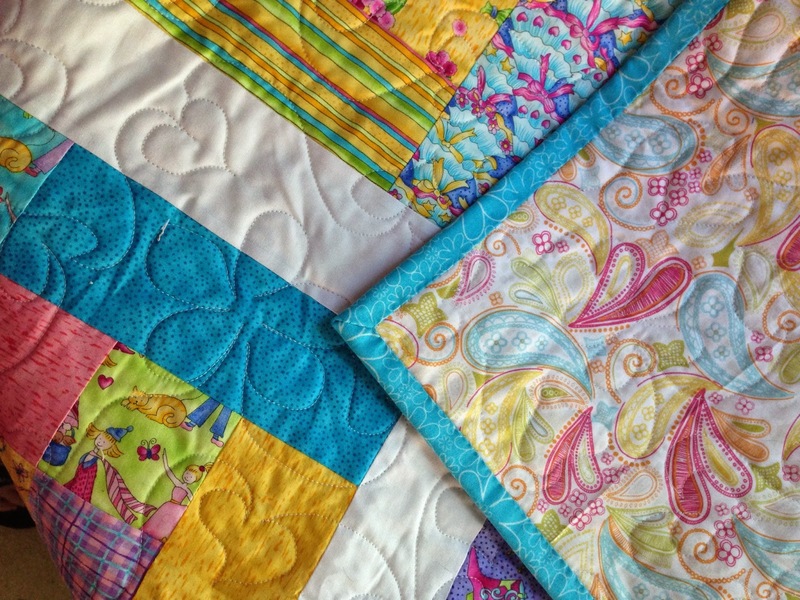 Both quilts are beautiful. They are going to lots of comfort and love for someone special. The quilts are lovely. The fun fabrics really make them pop. The X marks the spot block is definitely good for novelty fabrics. 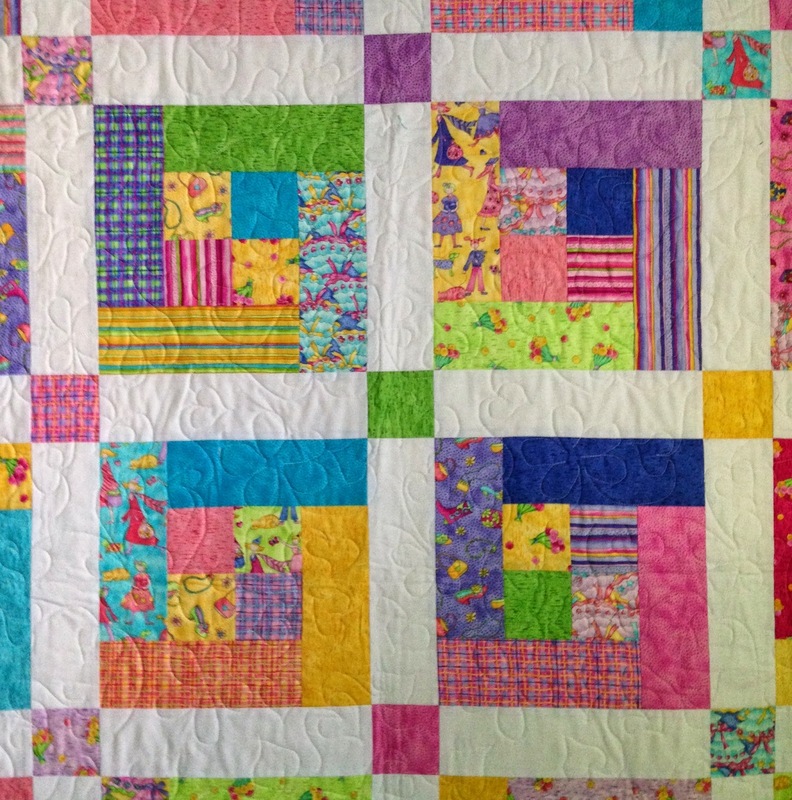 beautiful quilts by a beautiful soul.